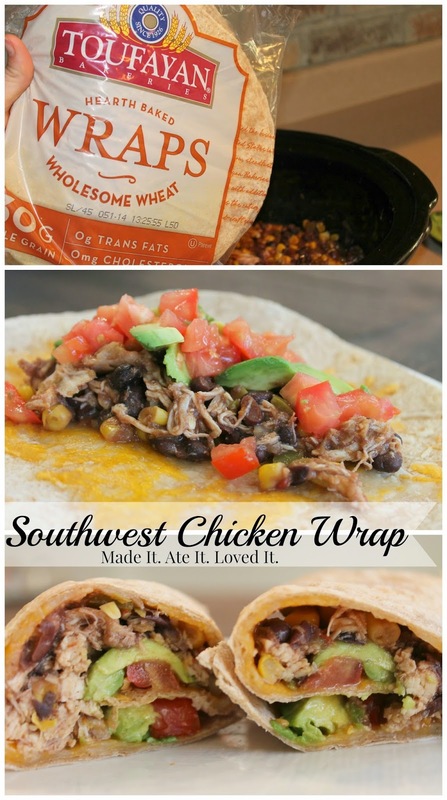 Southwest Chicken Wraps - Made It. Ate It. Loved It. It is getting hot fast here in Arizona! The thought of turning on my oven for a hour to cook dinner is haunting me. So I have decided to use the grill and crockpot as much as possible this summer. 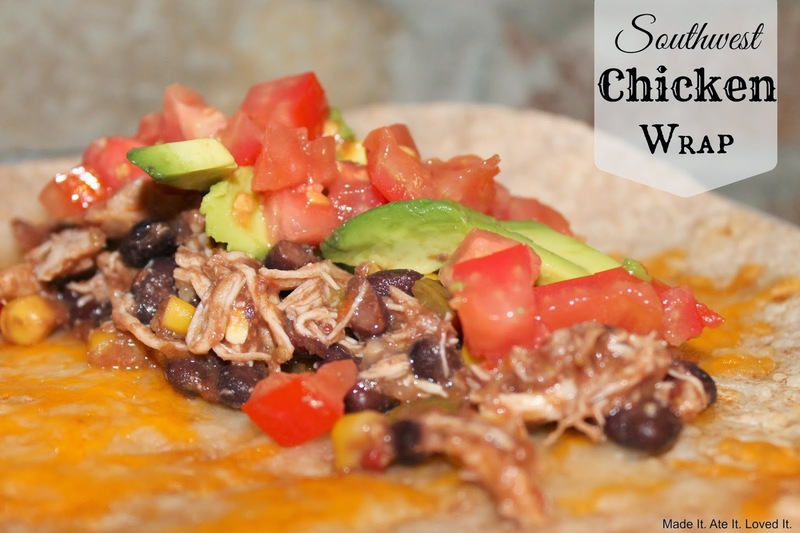 These chicken wraps were just that! I threw the ingredients in a crockpot and grabbed a Toufayan wholesome wheat wrap and had a easy and yummy dinner for my family! Grab a crockpot. Pour bag of frozen corn on bottom, then chicken, then black beans, then top with salsa. Cook on low for 4 hours. Shred chicken. Grab tortilla sprinkle some cheese on it. Melt cheese in oven or microwave. Take a heaping scoop of the southwest chicken mix and then cover with more cheese, sour cream, avocado, tomatoes, cilantro, more salsa or whatever sounds good to you. Roll up and serve!